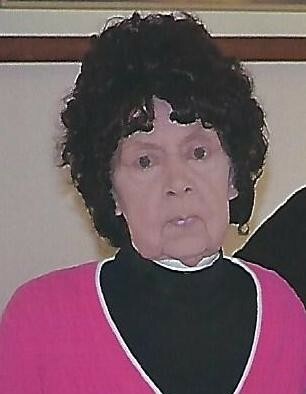 Mary Elizabeth Keites, 76, of Westbrook, passed away Tuesday, July 17, 2018 surrounded by her loving family. She was born November 27, 1941 in Portland to Percy and Marie (Porter) Taber. Mary graduated from Portland High School in 1959. She was married to Phillip Keites for 28 years. They had three children whom she raised at home. Her biggest joy was spending time with her family and friends. Mary was preceded in death by: her parents; daughter, Tina Keites Tarbox; grandson, Keith O’Brien; brother, Michael Taber; sisters, Lorraine Webster and Barbara Sampson; and infant sister, Sandra Taber. She is survived by: her son, Steven Keites and his wife Brenda of Westbrook; daughter, Karen Keites and her significant other Jules of Delaware; granddaughter, Brittni Garland and her husband Ricky of Westbrook; sister, Shirley Taber of Portland; “sister”, Arlene Riechert and her husband Bobby of Portland; brother, Warner Johnson of Portland; and great-grandchildren, nieces, nephews, and cousins. Donations may be made in Mary’s name to the American Lung Association in Maine, 122 State St., Augusta, ME 04330. Visitation will be held from 9:00 – 11:00 AM with a memorial service at 11:00 AM on Thursday, July 26, 2018 at A.T. Hutchins Funeral Home, 660 Brighton Ave. Interment will take place at Calvary Cemetery. With tearful eyes, we watched her suffer.